Positional Accuracy: 1m precision when working with concurrent GNSS, 2.5m precision when working with single GNSS. Time to first fix: Cold start: 26s, Hot start:1s. 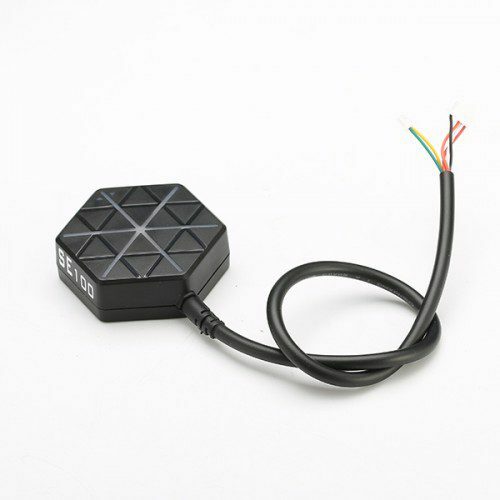 -GPS decoder chip: Radiolink M8N GPS, with u-blox UBX-M8030(M8), 72-channel, MMIC BGA715L7 from Infineon and 13 years of RF experiences, is much better than single GNSS 7N. 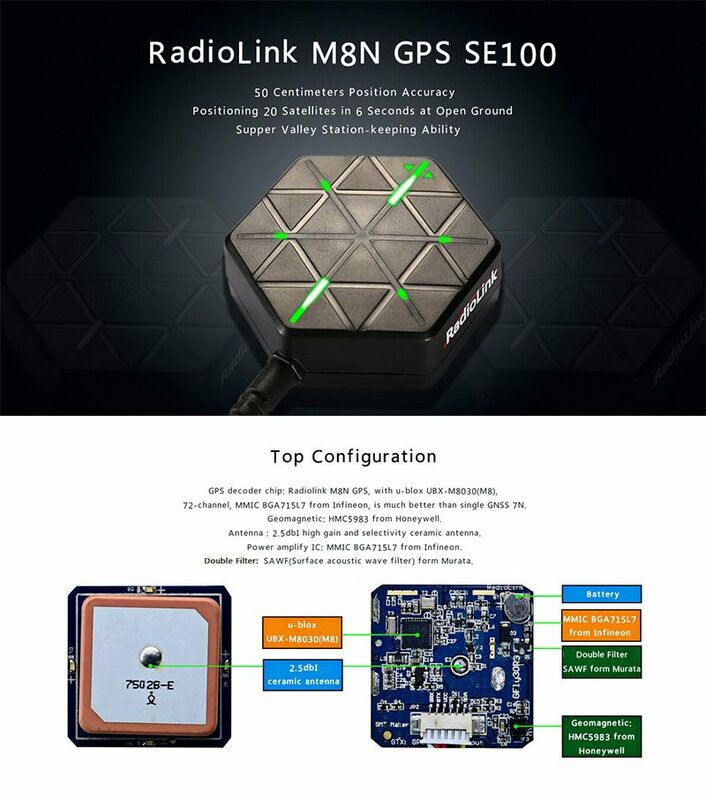 Radiolink M8N GPS, benefits from professional wireless experiences of Radiolink engineers, exceed the limitation of IC sensitivity index from circuit schematic design to PCB placement. 1 meter position accuracy, positioning in 23 seconds and valley stationkeeping ability make Radiolink GPS much better than the similar products. Reasonable price with better hardware, software configuration and brand new exterior designs.